How do you fabricate a product sample and environment where the simple appears complex and the complex appears simple? 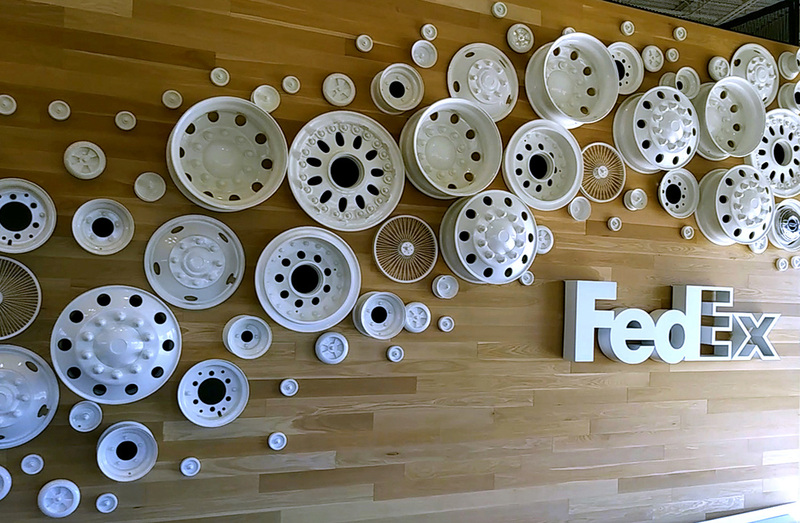 How often do you actually consider the number of miles traveled and by the variety of vehicles that are part of the massive FedEx delivery fleet? 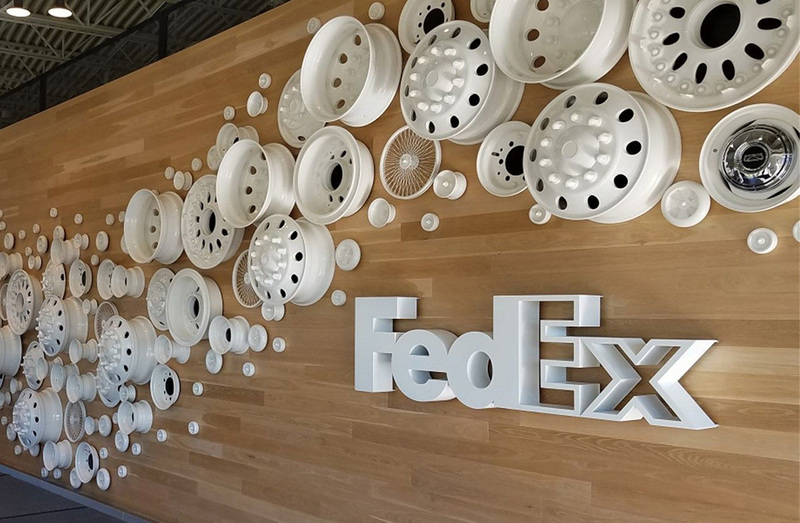 While not a typical consideration, it is indeed the idea, inspiration, and design concept that was shared by creative and design architect Gensler as Team 2020 Exhibits was challenged to fabricate and install these extraordinary wheels for the FedEx corporate HQ in Memphis. Indeed. 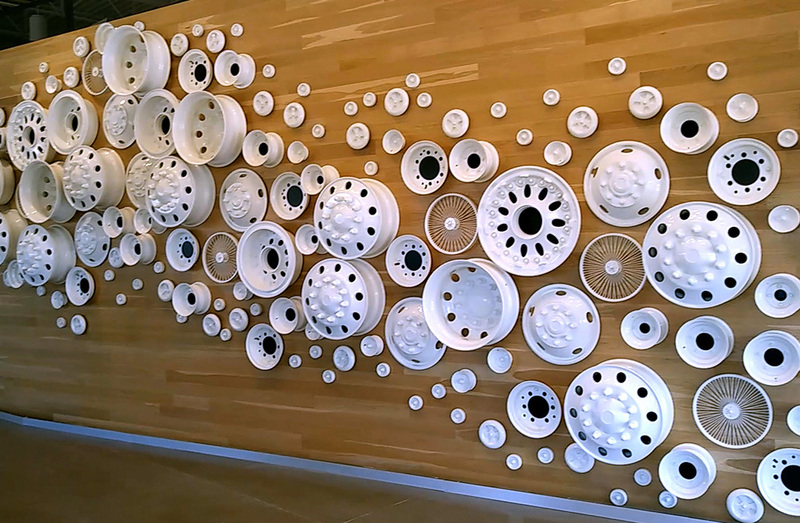 This curated collection of 165 actual vehicle wheels from FedEx fleet and delivery equipment were fabricated to specification, cut in half, painted white. 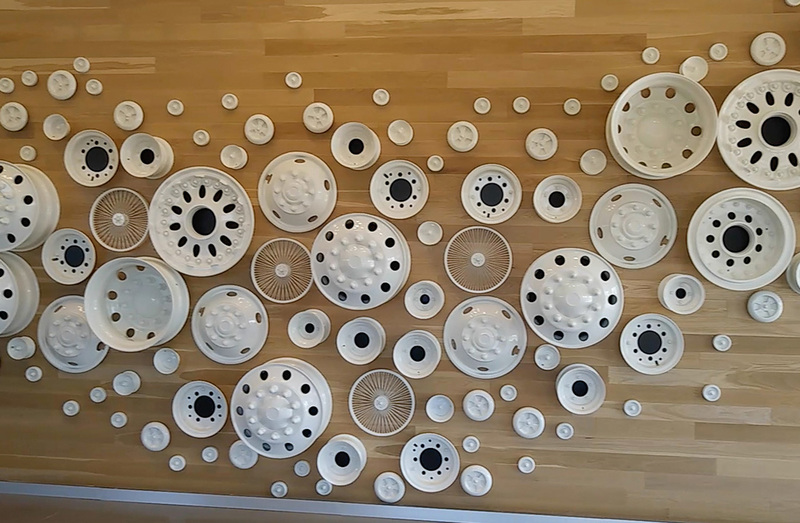 Each is mounted in a strategic pattern and design, with exacting precision, to the wood wall with bearings. Like a work of art, they are beautiful to see from both near and far. The engineering to structurally hold the weight, in a way that is seamless and unseen is a work of beauty, in and of itself. From Boeing 767 to tricycle, forklift, Airbus A300 and more, this project gives most everyone all the wheels. Wheels up, let’s take off.